The Minister of Information and Culture, Lai Mohammed, has assured the international community that President Muhammadu Buhari's new administration will be more determined in the fight against corruption. The News Agency of Nigeria (NAN) reports the minister is in Washington to engage international media and think tank, promote and reiterate the successes of the President Buhari's administration. In the interview anchored in English by Aliyu Mustapha of the VOA Hausa service, the minister said that the anti-corruption fight would be frontal in the agenda of the government "because corruption is one of the major causes of poverty and underdevelopment in the country." He recalled a saying by President Buhari that "if we do not kill corruption, corruption will kill us' and reiterated the government's commitment to the fight. "The president is committed to the fight against corruption and the administration will continue with it. "For example, the Treasury Single Account has instituted accountability in government's earnings and spendings and the whistle blower policy has led to the recovery of billions of naira. 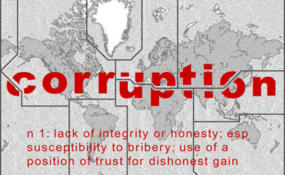 "It takes more than four years to clean a country endemic in corruption. However, it is on record that this administration has driven corruption under the carpet in four years. "In the next four years, therefore, the government will consolidate on the achievements recorded particularly in the fight against corruption," he said. Mr Mohammed said the fight against banditry, killings and banditry in Zamfara and Kaduna has "been put under control" in the last two weeks because of the synergy among the security forces. Speaking on the general elections, the minister said President Buhari's victory was well deserved and represented "the triumph of the ordinary Nigerians over the elite". He also said with the wide margin of winning, the government did not envisage "any attempt to delegitimise the will of the people". Mr Buhari's main challenger at the polls, Atiku Abubakar, of the Peoples Democratic Party is already in court seeking to upturn the outcome of the elections.